There are lots of legends and beliefs as to where there was a tradition of tea drinking. Many of them agree on the fact that the tea ceremony originated in China. 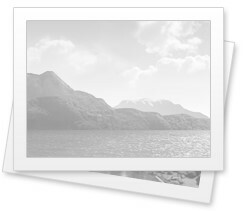 However, the exact date of this fact has not been established. 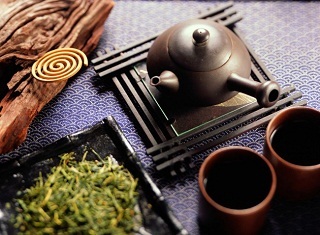 Approximate period of the birth ceremony of tea is considered to 4-5 century BC. According to one legend, the process of brewing tea came thanks to one Buddhist monk, who was sitting in a tiny room meditating and suddenly wanted to sleep, and not to fall asleep, the monk tore his eyelids. Sufficiently cruel decision, is not it ?! After some time, in the place where the eyelids fell monk was germinating plant. Apprentice the monk collected leaves of the plant and fill it with water. They were convinced that this is a valuable plant, beverage which will help them to keep us good spirits. 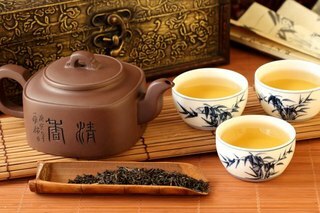 Another legend says that the process of brewing tea leaves with water was known long before the Buddhist religion. Opening belongs to La Tzu, who managed to turn it into action in a special ceremony. However, in those days, brewing tea leaves had quite a different name, namely "ritual with the golden elixir." Chinese people were delighted not only on the tradition, but also the taste of the main beverage. 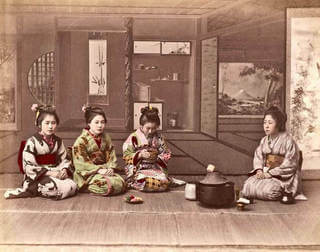 Over time, however, the significance of the tea ceremony was lost. The Japanese managed to take over the tea ceremony for their culture. Thanks to the amendments, this tradition has survived to this day, and at the first mention of the tea ceremony we have an association is with the Japanese culture. 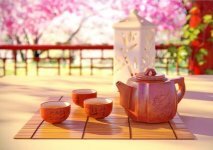 Since the birth ceremony of tea-drinking is associated with Chinese and Japanese culture, then it reflects the features of Buddhism and Zen Buddhism. We know that for the Eastern peoples has always been and remains an important spirituality. 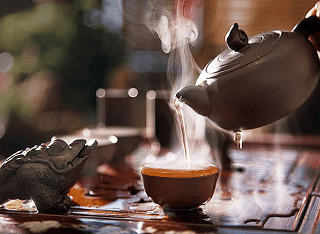 A tea ceremony is the perfect ritual to achieve spirituality, philosophy and dive into the religion. In this regard, the room where проводились tea rituals were very small. In fact, Buddhist monks were so fragile that they did not have any weight or volume, so they do not need a large room, ie generally not necessary. 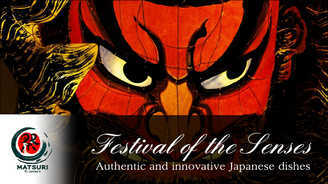 During the tea ceremony person is given the opportunity to experience the comfort, inner harmony and peace. Often teahouses read great words of the wise, then people discovered new truths and could understand what everyday life is not given to understand. Everyone who attended the tea ceremony, are equal. There are not important nor rank, nor rank, nor the financial situation. 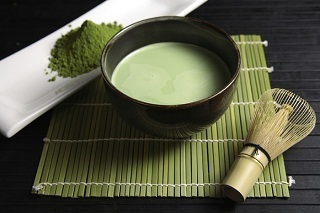 ﻿ Secrets of tea ceremony in China ﻿ The origin of the tea ceremony ﻿ The origins of tea ﻿ Necessary utensils for the tea ceremony ﻿ Space for the tea ceremony ﻿ Milky green tea Matcha ﻿ Japanese restaurant Matsuri. ﻿ Japanese festival spreading beans.